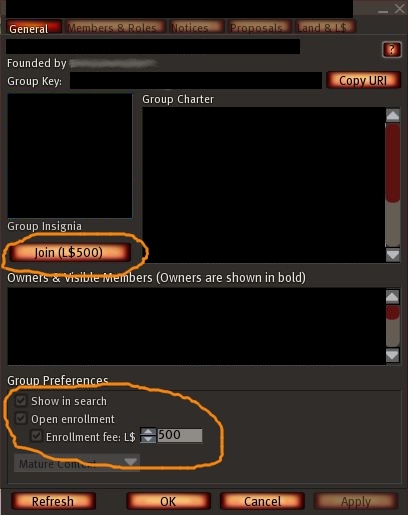 Be aware of some “Groups”, they will charge you if you say “Yes” ! Groups are one of the common things that you can find on Second Life and actually, if you are going to play some kind of game like vampires, fighting or roleplay then you will need to join a group. There are so many kind of them, but not only about games, you can find groups that are about anything (even some really weird groups). I really don’t like groups and usually I just join a few (if I can find something interesting) for fun or some friend’s group. The main problem that they have it is because they are full of drama!. Yeah, you will see that in them a few residents come and began to complain about what ever they want and even they show to everybody that “I have a problem”. But that’s not the only thing, other residents can come to groups and spam with products, advertisment or offers. Xpontaneus Combustion: one question are you a bot ? Xpontaneus Combustion: what is this group about ? Xpontaneus Combustion: but just to speak about diferent subjects ? Resident: correct. for example, this is today’s topic (i send them out daily). you can find past daily topics at http:// (website not showed). Xpontaneus Combustion: but it is also a group for dates as you say ? Xpontaneus Combustion: I mean group dates or just partners ? Xpontaneus Combustion: but anyway people can meet also on the web ? Xpontaneus Combustion: I mean like do you have chat or something else ? Xpontaneus Combustion: ok, I see. Must be interesting for people who is in universities, libraries, etc…..
Xpontaneus Combustion: what is the main objective of this group ?, to make dates or to improve the knowledge of people ? Xpontaneus Combustion: ah ok and what is that some ? Xpontaneus Combustion: sorry I am just curious Xpontaneus Combustion: Ok I get it. Xpontaneus Combustion: Ok, I have to leave thanks for the links, I will think about it. 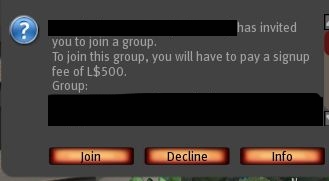 After we finished to talk he just sent to me a request to join his group but as I read that the group charge a fee to join I just declined! This entry was posted in Old Post on November 19, 2011 by Xpontaneus.